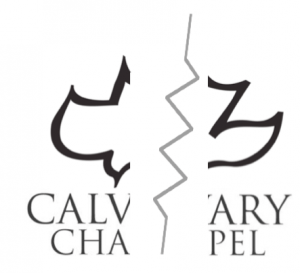 Calvary Chapel Splits in Two – Coercion Code – "Dark Times are upon us"
The Calvary Chapel fracture was bound to happen, and now it appears Costa Mesa senior pastor Brian Brodersen is leading that split, calling for “like-minded” pastors to stand with him. Who will stand with Brodersen in this split? And whom will Brodersen team up with outside of Calvary Pastor in this unified Global Network? 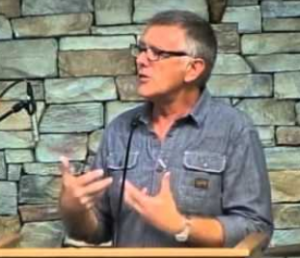 For more on the backstory of what is happening in the CC split, check out Roger Oakland’s new piece: “The Calvary Chapel Movement and the Sinking of the Titanic“, and also Mark Jefferies’ article and video, “Calvary Chapel’s Brian Brodersen: His Influence and control”. Brodersen in his letter states: To some degree, this comes down to a difference of vision. The goal is the same—the glory of Christ and the furtherance of His kingdom on earth. But we differ on how we accomplish that goal. Really? The goal is still the same? This is not the split between Paul and Silas over Mark in the book of Acts, (Acts 15:35 -41), but the very methodology, and philosophy of how church should be run. In the article, Calvary Chapel’s Brian Brodersen instructs pastors to “Tone it down” for youth it is clear he is appealing to the youth, and changing the principle or key responsibility of a pastor to ‘preach the word’, to instead preach ‘key words’ for the sake of numbers and success. He is following countless others who have gone down this road of compromise. Let’s ask Lonnie how Chuck Smith felt about people. Use their gifting, and then use the Bible to highlight their failings and disorderedness and discard them afterwards taking care to write them out of the history book and disrespect them even if at their own funeral. I heard “Papa Chuck” hollering and raging when pushed out of his comfort zone. Anger issues. Good Bible teacher, fair (not good) administrator, good with his sycophants, terrible with people who had problems and needed help.